Australian international net winger and center who won gold medals at the 2011 and 2015 World Netball Championships as well as the 2014 Commonwealth games. She's also served as captain of the New South Wales state team. She grew up playing in the Commonwealth Bank Trophy. 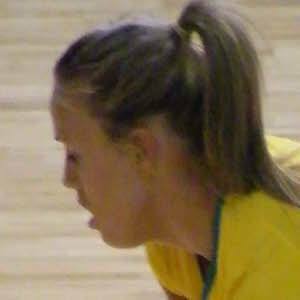 When the league was dissolved in 2007, she joined NSW of the newly-formed ANZ Championship. She's spent time as both captain and vice-captain of the national team. She was named MVP of the ANZ Championship in 2014. She was born to Michael Green and Denise Langford, who was an Olympic swimmer. She married cricketer Trent Copeland in 2012. She played alongside Natalie von Bertouch on the Australian national team.